The IAHP is the best investment a hydroseeding contractor can make. The International Association of HydroSeeding Professionals was created in 2004 to educate, promote and grow the business of hydro seeding. The IAHP provides professionals the opportunity to engage with others in the hydroseeding field, to learn from online classes and to become certified as hydroseeders to set themselves apart. 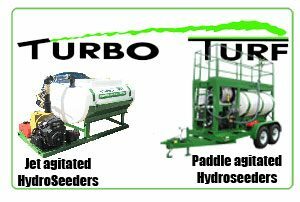 IAHP membership includes some of the most experienced hydroseeders in the world. CONTRACTOR MEMBERSHIP IN THE IAHP IS ONLY $ 100.00 A YEAR. If you are a hydroseeding contractor it is the best $ 100.00 you will ever spend. Free Premium Listing on HydroSeedingExperts.com One of the internet’s most used resources for locating hydroseeding contractors. Over a quarter million people have visited this site to find a hydroseeding contractor. This benefit alone will return the cost of membership many times over. We have one of the largest and most widely used lists of hydroseeding contractors in the world. IAHP members are listed by seniority. Members report getting dozens of jobs from their listings. One big job can pay for your membership for years. Membership entitles you to one listing in one state. Additional city listings or listings in additional cities or states are $ 50.00 each. IAHP Logo: IAHP members can proudly display the IAHP logo creating a professional image that can be the deciding factor when compared with your competition. Show your involvement with the industry and your professionalism by displaying the IAHP logo on your web site, equipment and stationary.